I was going to call this a Liverpool video dynasty but then I figured I will probably get fired at some point and I plan to take an international job so that's why you get the vague title. I'll be playing 10 minute halves on world class level with custom sliders. Hopefully, playing the friendlies at the start of the season will help me iron out the sliders. Really, is that all you want? The Premiership title, the FA Cup and the Europa League title. Are you sure you don't want more? Holy crap talk about high expectations! I'm hoping for mid-table with a run at another European spot next season. This isn't the Liverpool of the glory years. 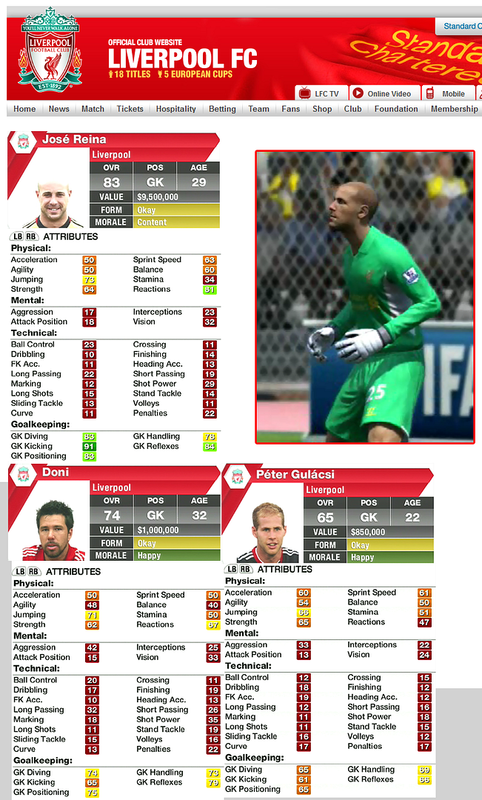 I never would have guessed there are GK kicking ratings. Has anyone ever noticed any differences in the way goalies kick the ball in FIFA? If you have you are much more observant than I. 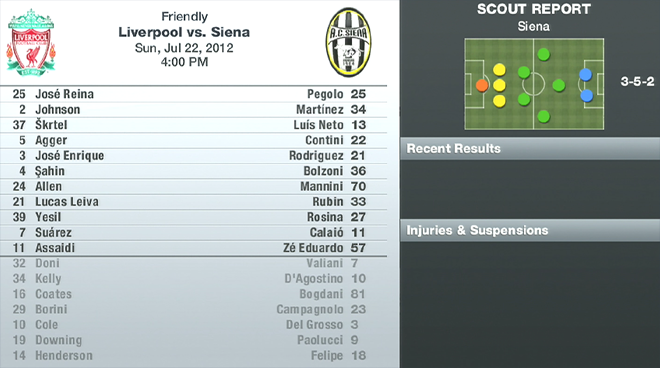 The only way Doni plays over Reina is if Reina is suspended for the very rare -- but possible -- red card. Maybe I'll throw Doni in net for a Capital Cup game. Since Gulacsi is only 22, we'll try to loan him out and see if he develops into something down the road. Here's your starting defense for Liverpool. I imagine we'll start the season in their default 4-3-3. 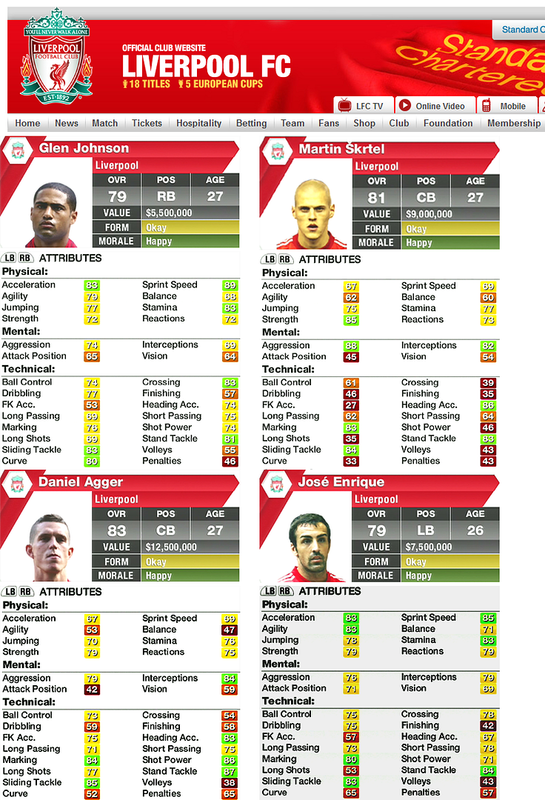 Skrtel, Agger and myself go way back to my Liverpool FIFA 09 dynasty. I practically feel like we're family. However, they both seem kind of slow and I like my defenders to get back quickly to cover up my inevitable defensive blunders. Well, if Skrtel and Agger are like family, I don't know how to describe Carragher. I remember using him when I first started playing FIFA in FIFA 04. 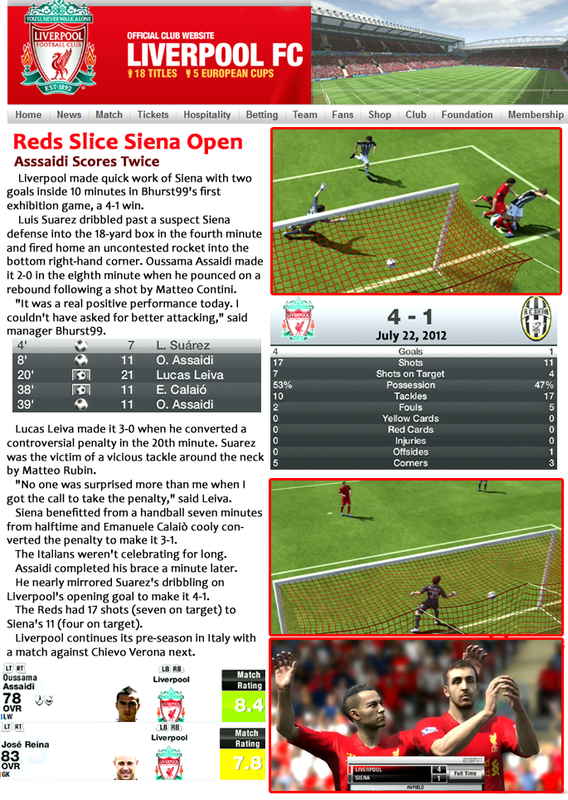 I recall the glory we had in winning the European Cup in Total Club Football 2004 (which used FIFA 04 as a match engine). He's on the back end of a great career and there's no way he can play a full 90 minutes but he still has some value left. Should I be concerned Coates has a jump rating of 34? Jumping to defend corner kicks would seem to be a pretty important part of being a central defender. I think Wilson would be candidate to get loaned out. I also think I'm going to seek another high-end defender on the transfer market before the season begins. I'm actually surprised Gerrard's stamina is as high as 76. He always tired quickly in my FIFA 09 dynasty and it drove me crazy. He never seemed to play as well for me in FIFA as he did in real life. Probably my fault. I need him to play at a high level. (Edit: Hmm, I just looked back at my FIFA 09 stats and he had eight goals in 43 games, completed a high percentage of his passes (76 per cent) and had the best percentage of tackles won (75 per cent) on the team. So my memory isn't that good). Sahin is being loaned from Real Madrid. His physical skills are nothing to write home about but his technical skills are great. Allen and Henderson are terrific for their young age. I think we're going to have a strong midfield. Well, isn't this just a grand way to start off this dynasty. 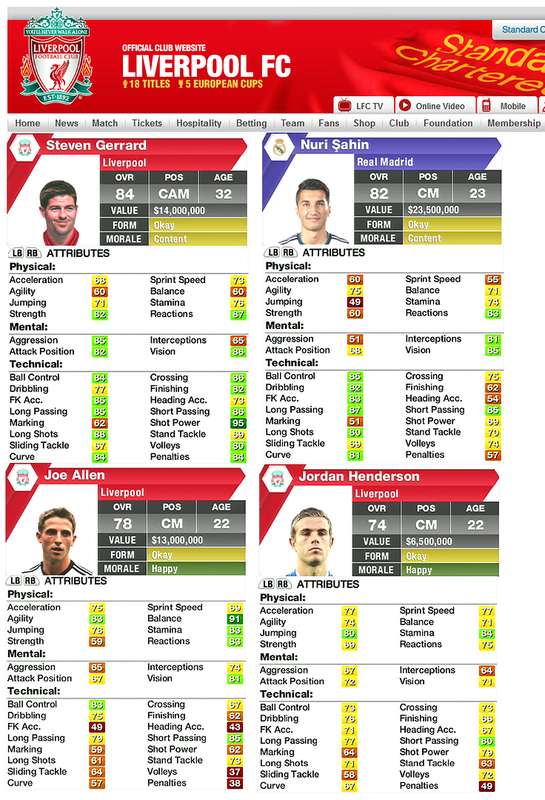 In the default rosters that game with the came I don't recall Gerrard being injured. I must have used one of the newer rosters. It's about six weeks before the start of the season so hopefully Gerrard will okay for the first league game. 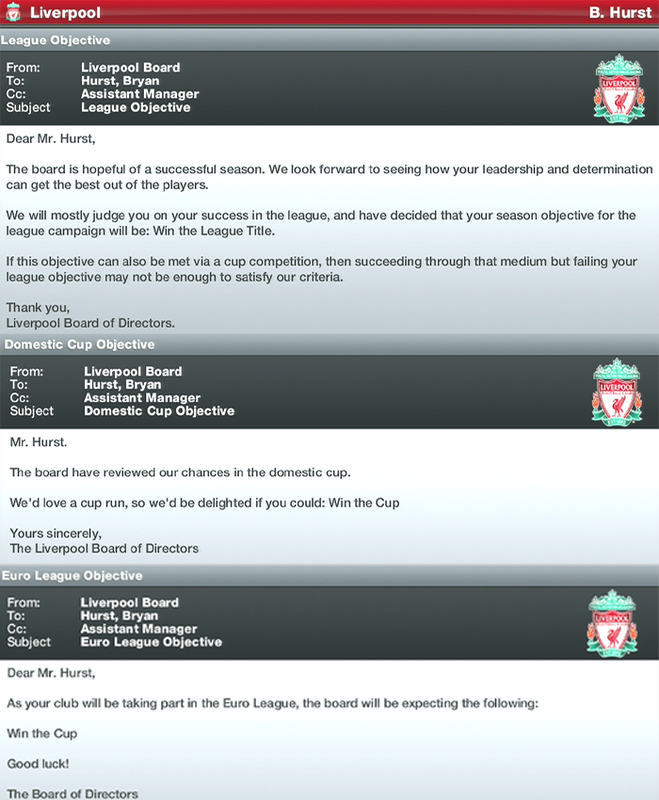 I wish the board had taken this into account when they set the goal of winning the league for me. 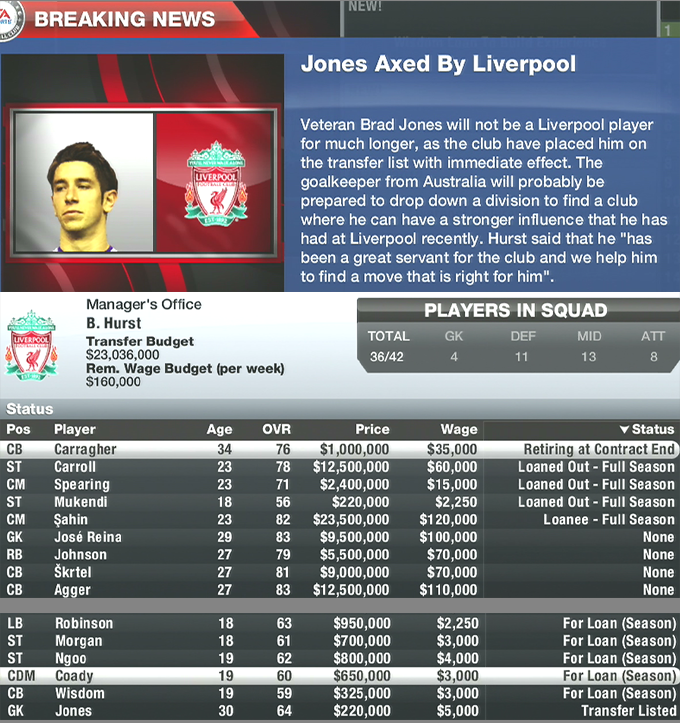 There was no chance 30-year old Brad Jones was going to play for us so he's the first to be transfer listed. Don't let the door hit you on the way out, Mr. Jones. 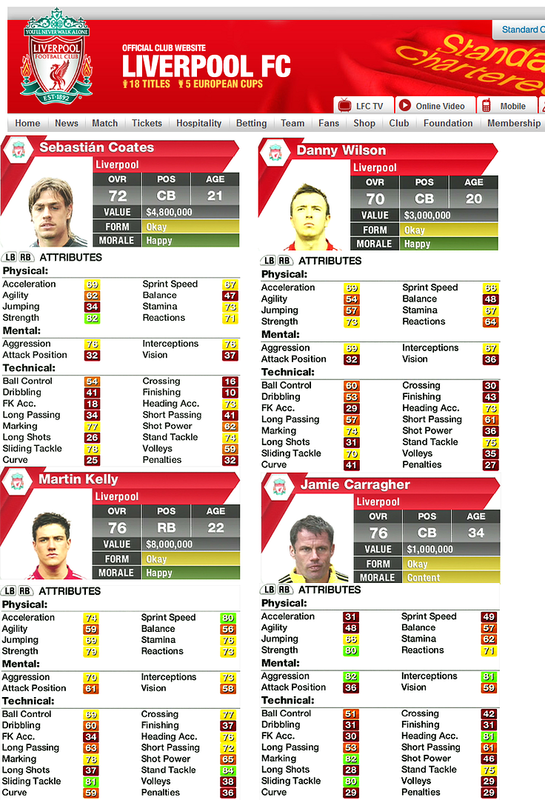 I didn't realize this was Carragher's final season. That's news to me. 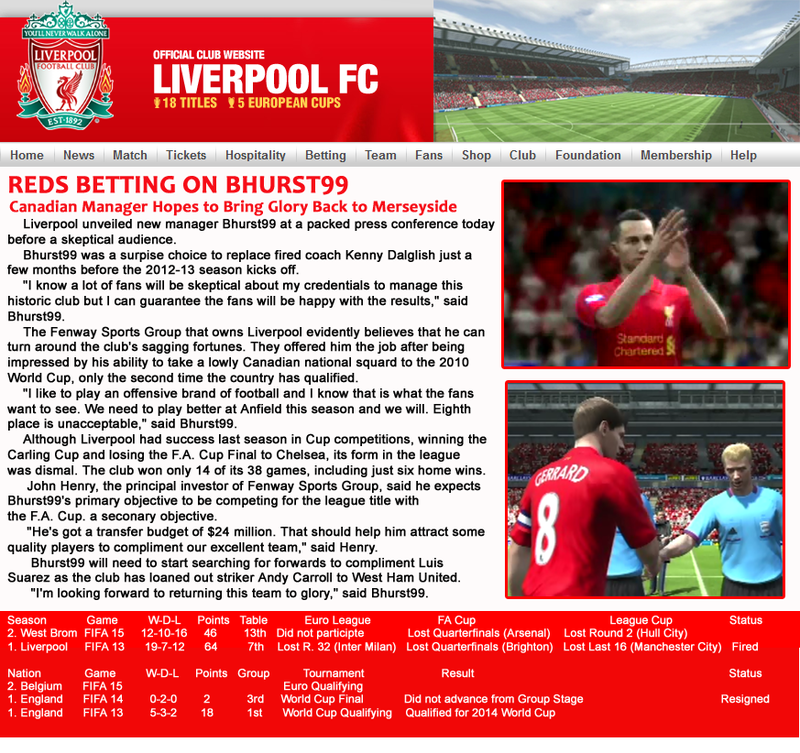 Carroll, Spearing and Mukendi were all loaned out before I was named manager. Mukendi's going to have to develop dramatically to have any future with the club. As my first move I've put a collection of teenagers on the loan list. See if we get any bites from other teams. Steven Kerr you want $8 million?!? Holy cow. That would seriously cut into our transfer budget so we're not going to do that. 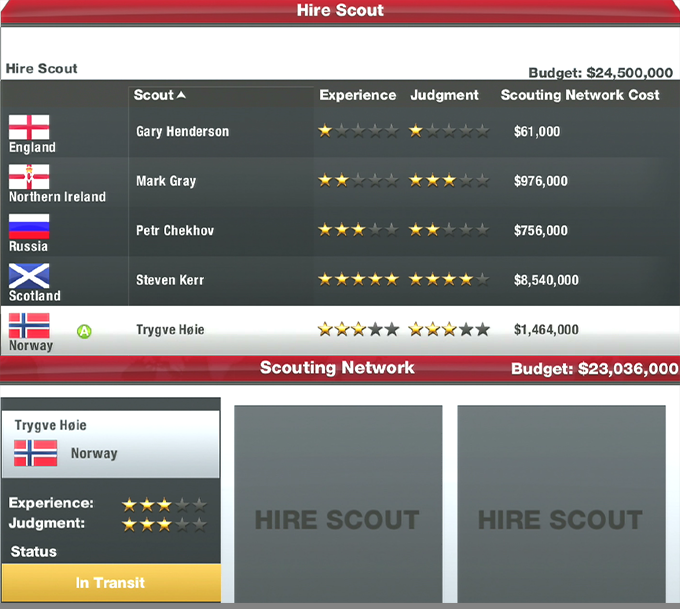 Find some other sucker to pay you and your scouting network $8 million. My pre-season schedule sees me playing three games in eight days. Hopefully, I can develop some sliders for a realistic game. Okay, it's time to start playing some games before I bore everyone to tears. This is a Video Diary not a Screen-Capture-to-Dull-People-to-Death-Diary. I don't know if I agree with the headline. I'm not seeking to impress anyone with a nothing pre-season match. It's all about getting to know your team in the pre-season. That quote does sound like something I would say. 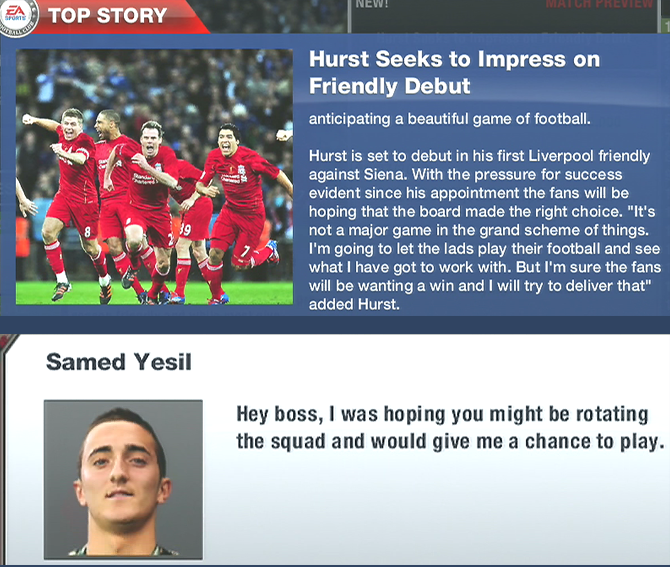 Yesil's request is a reasonable one especially since he called me "Boss." I like that he knows who is in charge around here. He'll start against Siena. But he better not let it get to his head. Nice job picking up the win man. This is looking good. 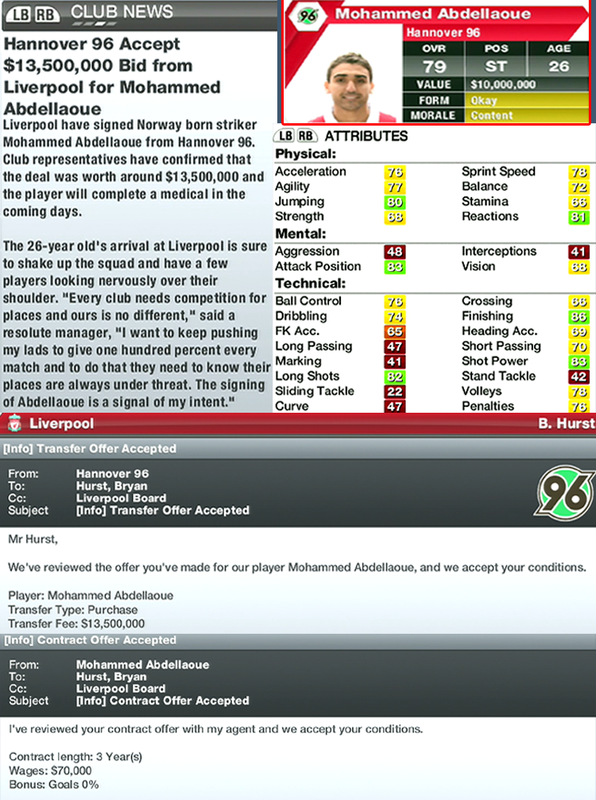 Assaidi played nice. Thanks. Hopefully, I can inspire others to do some soccer dynasties. 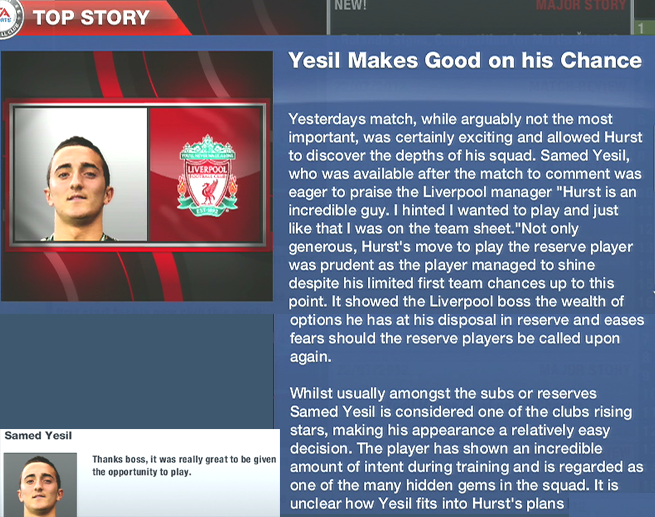 "Hurst is an incredible guy"
I'm starting to warm up to Yesil with comments like that. Flattery and bribes will get you everywhere. (I'm lying Yesil's going back to the bench next game. 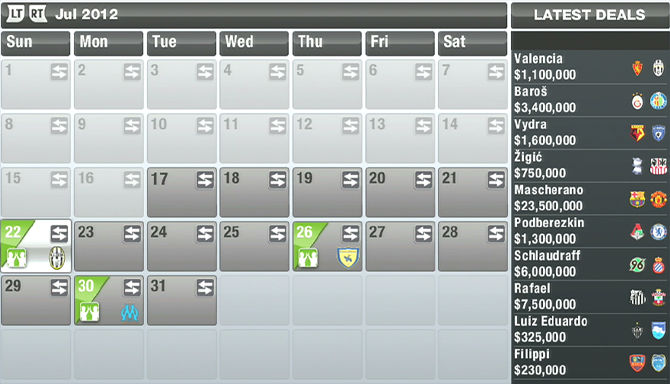 I have a tough season to prepare for and he's not making enough coin to bribe his way into the starting 11 ). For what it's worth, Yesil was rated 6.5 for the match. I've always wondered what goes into these ratings. Some of them can really make you shake your head. Cole, a substitute in the 77th minute, was rated just 4.0. What did he do, or not to do, in 13 minutes to deserve that? As a Canadian myself, I hope you get Junior Hoilett! Nope I didn't bid for Hoilett. I'm still mad he didn't commit to Canada before our World Cup Qualifying disaster. (Actually, I'm not mad at all. I doubt he would have made a difference). We didn't want to break the bank to sign a striker since we also want to sign a defender. We offered $12,400,000 but Hannover rejected that so we upped our bid to land him. Hopefully, he's got a lot of goals in him with that finishing rating of 86. We have about $10 million left to sign a credible defender.